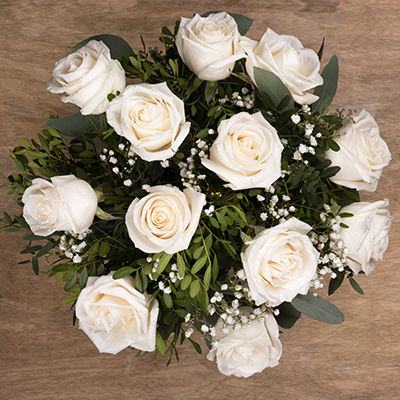 Share a touch of class with your loved ones with our 12 white rose bouquet. 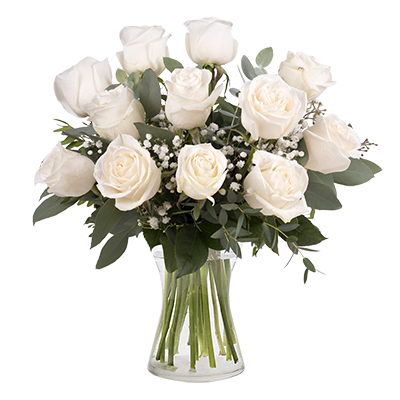 With elegance, class and purity a dozen white roses is a graceful way to express your feelings on occasions where only pure emotion will do such as weddings, anniversaries and demonstrations of love. Very happy customer. Recommend to all. Fantastic personable service . Very friendly and prompt. Thank you for your efficient service the flowers were beautiful. It was quick and pretty. Excellent. Was a really nice surprise. Lovely beautiful flowers! Love it! My mother was delighted with her flowers! same day delivery. was great service. Our friend reported that the flowers were beautiful and fresh.